Being a teacher is hard. Seriously, my friends. 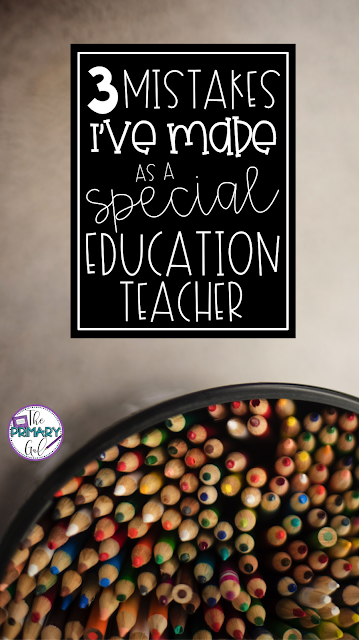 And being a special education teacher can often be even more challenging. 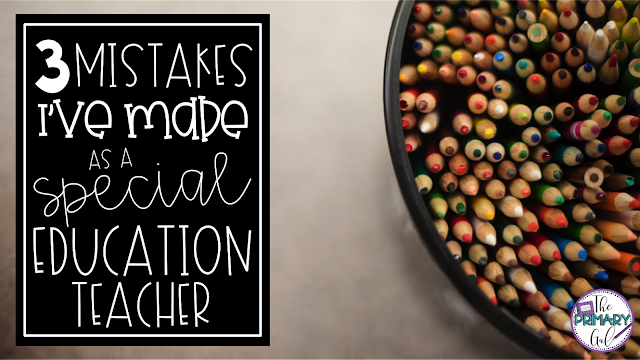 Today, I want to share with you a few mistakes I've made throughout the years with the hope that you can learn from them. I'll be honest, I tend to set goals that are too low rather than too high. Either way, I am continually working on becoming more realistic about my teaching and their abilities. While I am willing to rewrite IEPs to address new concerns, it makes sense to set goals that are realistic and just start chipping away at the process. I'll also add that I think this is a major thing that comes with experience. 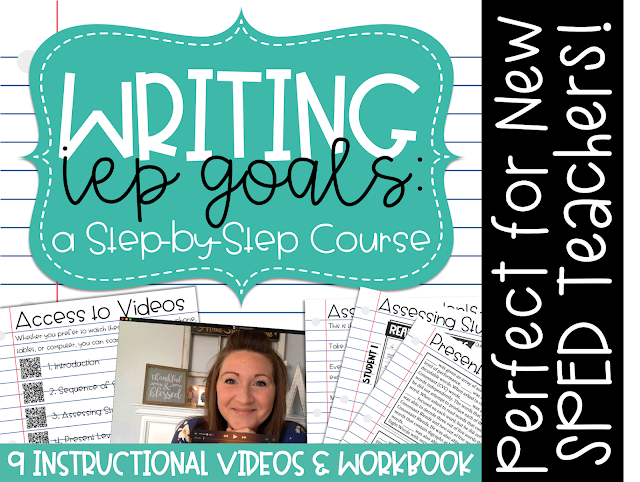 As you get to know students, yourself as a teacher, and various disability areas, you'll be able to write goals that are more realistic for your students! As a new special education teacher in my district, it was really hard for me to take charge. I am confident and I know what needs to be said, but I'm always afraid to step on someone's toes. However, it is OUR job, and the best interest of the student, if we step up and take charge. Run that meeting! You have called together an entire team of people who are there to help a particular student on your caseload. Take charge. It's ok. If the thought of taking charge scares you a bit, ask someone for advice on handling the meeting, explain the dos and don'ts of conducting an official IEP meeting, or have them observe you. It takes a while to build confidence, but it's something that you need to do. I'll be honest, this isn't something that I have a hard time doing. What I DO have a hard time doing is keeping other adults present in meetings from going down a negative path. No parent wants to walk out of a meeting where they've heard so many negative things about their child. I try to share one strength for every weakness that I share. There are times when weaknesses MUST be discussed. If you are working to create a behavior plan or address new concerns, there is no way around it. To me, that means that I have to share several really positive things to help that parent walk away with a good feeling about your attitude and love for their child.